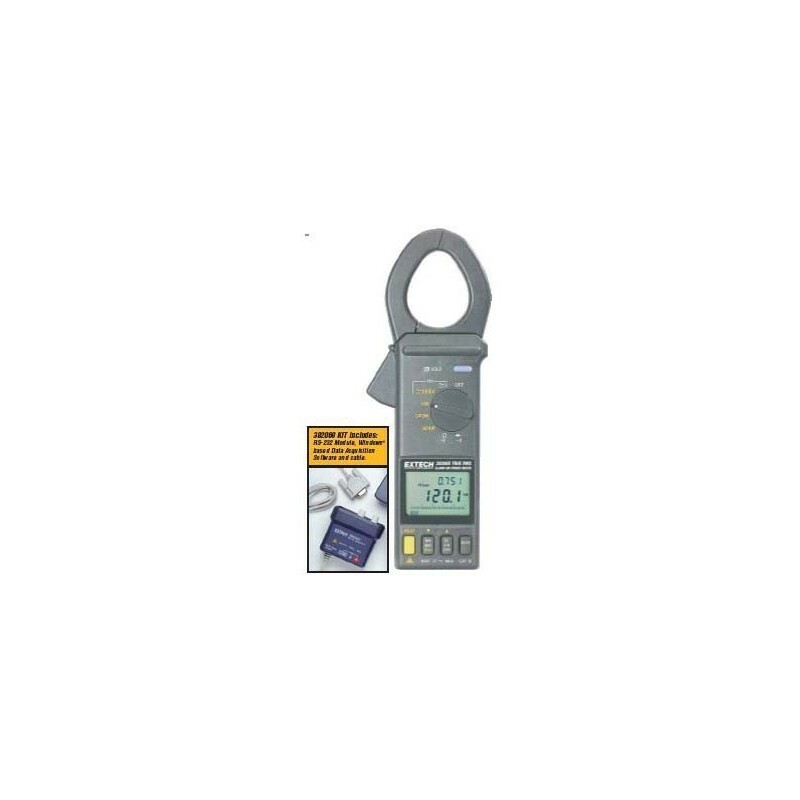 The CLAMP-ON POWER DATALOGGER measures true power,apparent power, and power factor with built-in datalogger and includes an RS-232 interface with PC software. 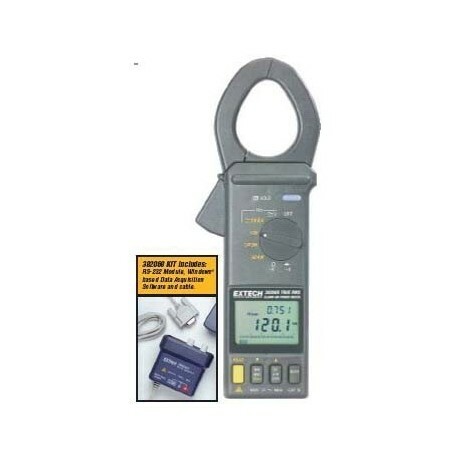 The 1000A Clamp measures 1f or 3f power to 600kW. Measures display true power, apparent power, power factor, true RMS voltage and current, resistance, and frequency. Dual display of kW+PF, kVA+PF, V+A, A+Hz or V+Hz. Built-in recorder datalogs up to 4000 readings or downloads to a PC.